Padma Lakshmi love the floral accent an frilly pink tinge rose syrup gives this cocktail. These beautiful, sugary petals make for an impressive garnish, but they’re super-easy to make. "Ask anyone on my staff their favorite summer dish, and they'll tell you it's this one," says chef Hoss Zaré. Filled with herbs, nuts, rose petals and raisins, the soup is delicious with grilled bread. 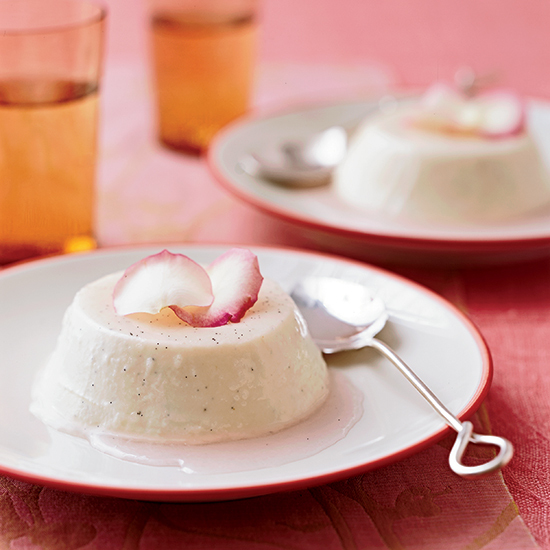 The key ingredient to this creamy dessert is Italian rose syrup, which provides a lovely, delicate floral flavor. These delicate crêpes get their floral, aromatic sweetness from rosewater and honey.